A back patio was too hot in the afternoon sun and the land fell away uncomfortably. Our solution: adding a stone retaining wall and cedar pergola with movable canopy panels to create a level, shaded living space. 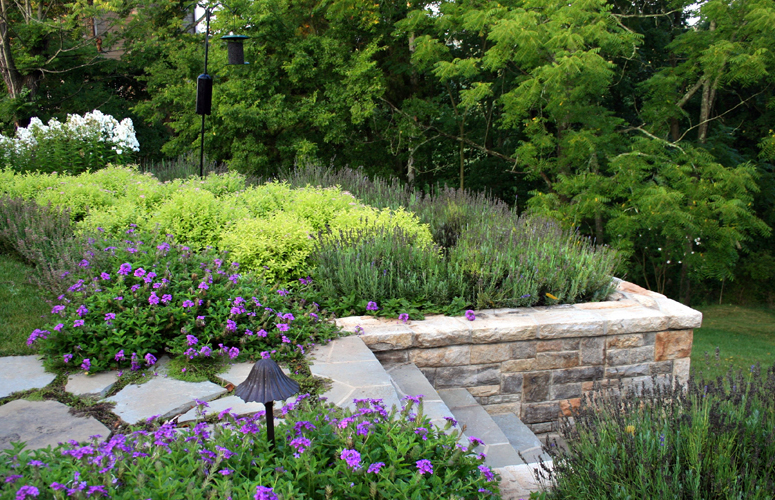 Lavender, verbena, teucrium, phlox and lime-colored spirea are arranged to follow the arc of the wall. Steps descend to the lawn, which leads to a wild woodland beyond. 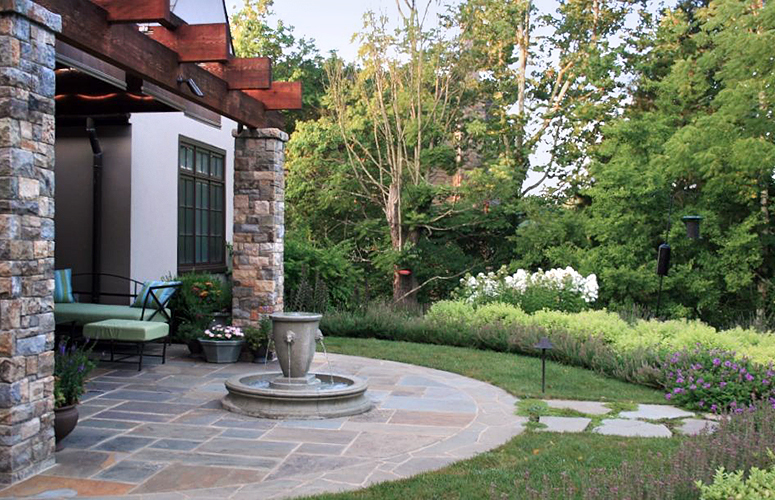 Not too far way, because the homeowner wanted a place to putter, a perennial garden encircles a round patio. Morning coffee mixes well with staking a new bloom or snipping spent flowers.